« And we have a winner! I was talking to my bff and she had recently seen closers mounted on the exterior side of a door and was surprised. I told her that I see it all the time. A recent trip to Athens, Georgia provided the following 3 openings all within 2 blocks. I guess they didn’t get the memo that closers go on the interior side. 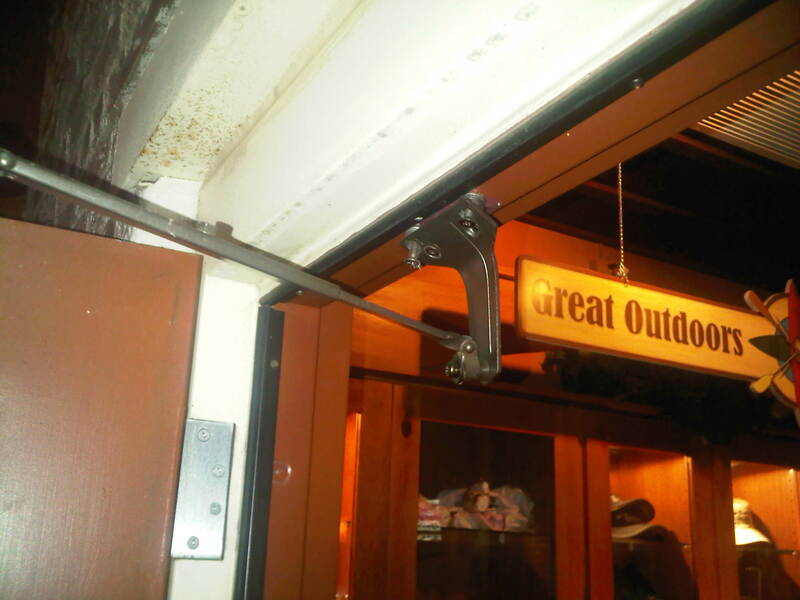 Here are more examples of the incorrect installation of door closers from past posts. I wish there weren’t so many! the closer problems seen, seems many people they DO NOT read the install instructions that come with the closer or they see there’s a problem and try to modify the placement without proper templating to how and where to mount the arms and the body of the unit. 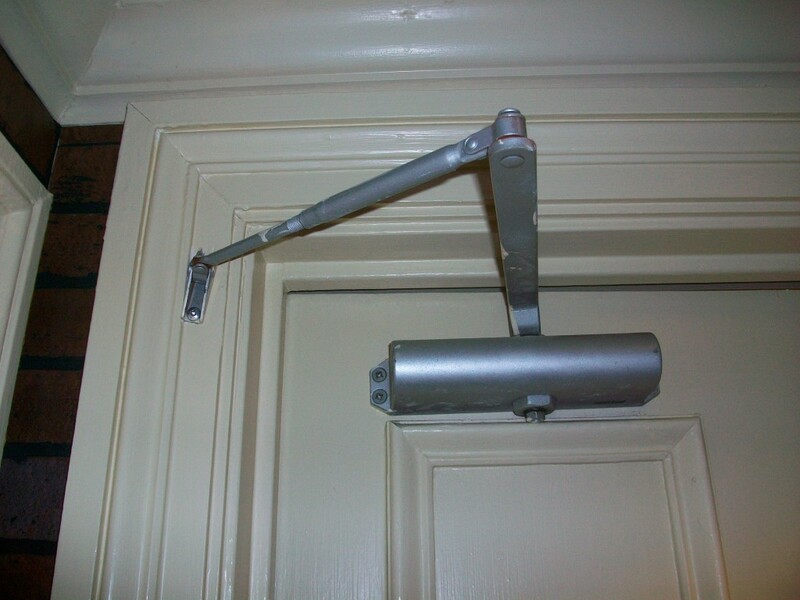 the one image with bent parelell arm plate, i seen this ALOT in technical school, its a result of a door that has capability to swing to 180 but closer arm limits it to 90 or 110 and when pushed past the point the closer stops moving (because arm too short because of angle its mounted) the bracket will start to bend and look like a “doorito chip” also resulting in problems with the closer because of premature wear of the bearings and o-rings at the pinion shaft from the changed geometry the arm must do with a bent mounting plate. the image with the (kwikset or sentinal) closer and side jamb arm mounting, those joints are not put in the arm for this purpose, those joints are to help accommodate for a larger or unusual trim, and have to mount the arm bracket higher then usual to to a flat surface of trim, it is NOT designed to be used for side mounts like this, this one the forearm will only have 90º of travel. also, the respective comapnies are not resposible for premature wear due to a closer mounted on the exterior weather side of a door. so by all means, before ordering that closer, think of the inside of the door and mount according to the arm supplied or contact the factory for the proper arm(or brackets) to mount in inside of the building. I am happy you found me through Lori. 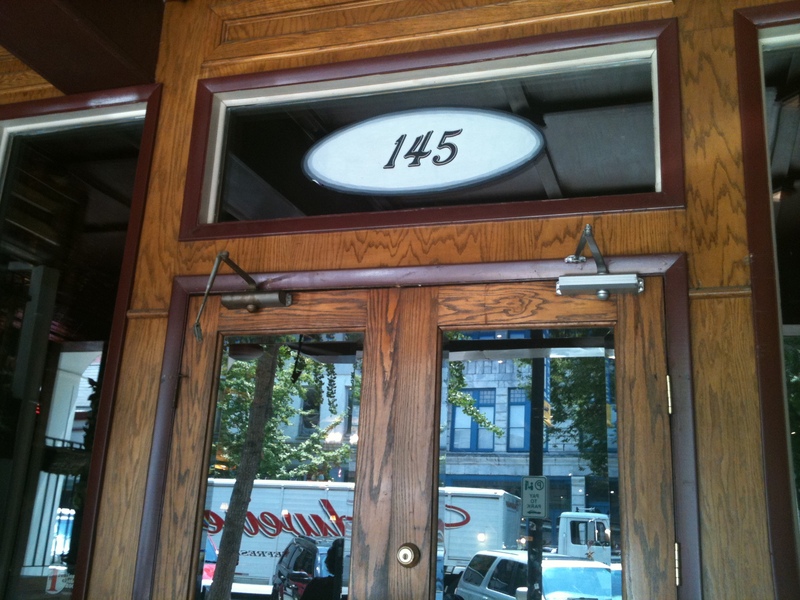 I am a follower of her blog and love her commitment to the door & hardware industry. Thank you for your observations and comments. Hopefully we will bring enlightenment to the issue one post at a time. My favorite is the side jamb mount, it is very inventive! I look forward to getting to know you and your work. I love that you are the “door closer doctor”. What area of the world do you call home? I was in New York City a few years ago, visiting Trump Tower in midtown. There’s an outdoor observation area about 10 stories up. 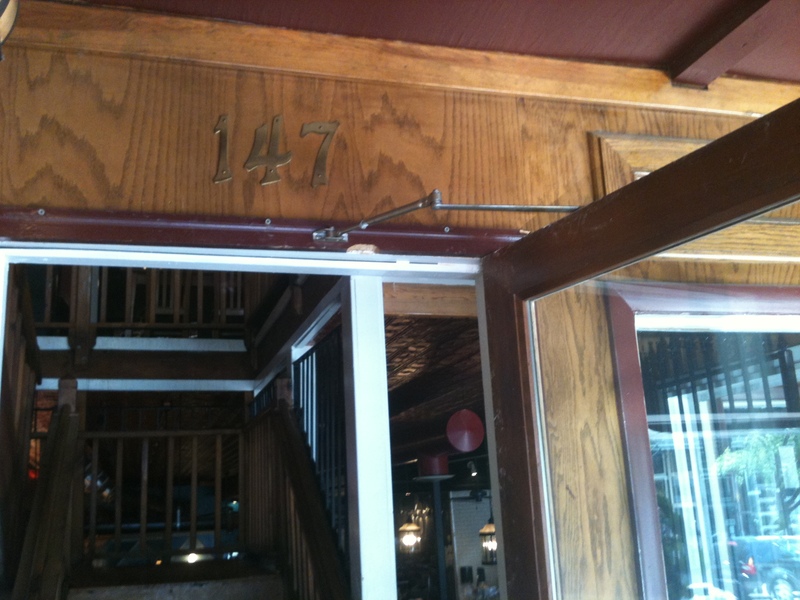 The aluminum storefront doors that lead out to the viewing patio had closers mounted top jamb, on the exterior (doors swung into the building). I noticed that immediately. My theory is Donald Trump was doing a walk-thru and said “I don’t want to see those closers, move them outside”. I guess he can afford to replace them once a year. Thank you for your comment. I love your theory and it’s probably correct! How do you open the doors shown in the last picture? Is this “Exit Only”? Jeff, I’m glad you’ve stumbled unto my blog. 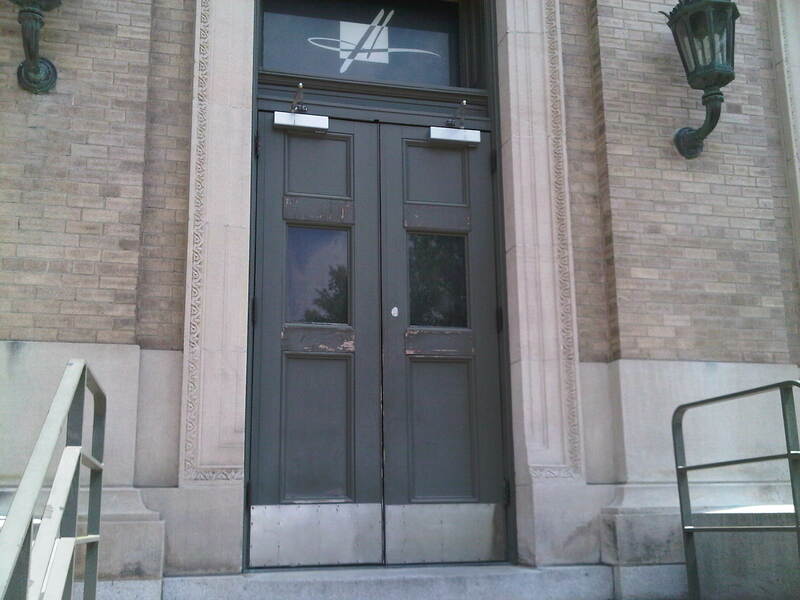 And yes, these are exit only doors coming out of a theatre. Pete, I apologize for taking so long to approve this comment. It got lost somehow. Yes, that is exactly right! I think they need a little help installing closers in the future! 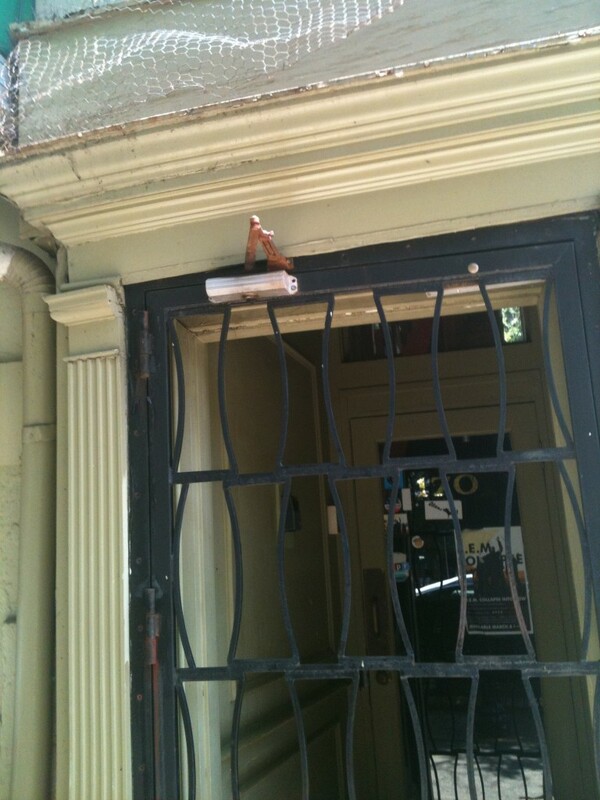 A question for you: We have an apartment building with a front door that opens in against a hall wall. There is no clearance between the door and the wall. The doorknob actually prevents the door from opening a full 90 degrees. I’d like to mount a door closer on the inside, but the mechanism prevents the door from opening all the way (because it contacts the wall, in the same manner as the doorknob). What should I do in this case? I was considering mounting the closer on the outside (there is some protection from the elements by a porch roof). what do you use to install a door closure on a hollow metal frame? Are there special screws? ours keeps losing the screws. Thank you for reaching out! In what city are you located? It could be that your frame is not reinforced to receive the closer. Can you send me a picture? I might be able to troubleshoot if I can see what your application is.